Shipping Buyer pays actual shipping charges. Will ship to United States only. See item description for shipping charges. Item Revised Before First Bid To review . · 6353 Miles · 6 - Cyl. 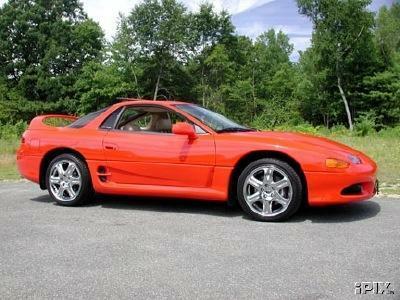 THIS 1998 MITSUBISHI 3000GT-VR4 WAS OWNED AND JUST TRADED BY DAVID LETTERMAN STAR OF CBS LATE NIGHT IT HAS 6,353 MILES TWIN TURBO 320HP (thats what got him the tickets)6-SPEED TRANSMISSION LEATHER INTERIOR CHROME WHEELS AND BALANCE OF FACTORY 5YR-60,000 MILE WARRANTY OWN JOKE BOYS CAR !THIS CAR IS IN SHOWROOM NEW CONDITION NO ACCIDENTS NO BODYWORK DAVE BOUGHT IT NEW !! Place a bid only if you're serious about buying the item. If you are the winning bidder, you will enter into a legally binding contract to purchase the item from the seller.